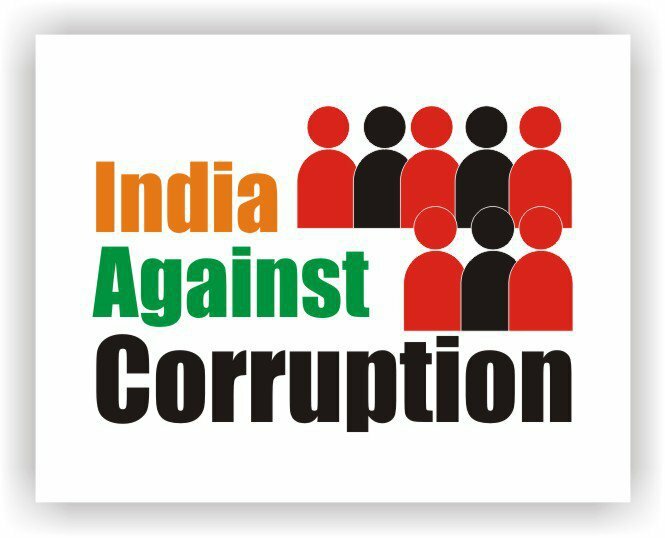 India Against Corruption, a group formed by Anna Hazare and other social activists and former judges, has given 17 reasons why the Jan Lokpal Bill drafted by former Supreme Court judge Santosh Hegde, now the Karnataka Lokayukta, is far better than the Bill prepared by the union government. The Jan Lokpal Bill, hailed as a civil society initiative, provides for a jail sentence to the corrupt within two years of filing a complaint and seizure of wealth acquired through illegal means. The Bill proposes that the Lokpal under it would have jurisdiction not only over politicians but also on Supreme Court and High Court judges and bureaucrats. The government Bill limits itself to the Prime Minister, ministers and Members of Parliament and proposes a probe by different agencies. As Hazare told reporters in New Delhi, the Lokpal Bill has been introduced in Parliament eight times in the past four decades, the first time in 1969. But, it has never been passed apparently because politicians do not want to be held accountable. 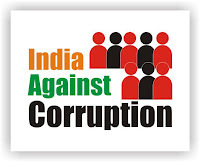 The India Against Corruption group said it regrets that the latest draft of the Lokpal Bill prepared by the current UPA government demolishes whatever little exists in the name of the anti-corruption mechanism in the country and seeks to insulate politicians from action. This, its members say, is the reason why it has come out with another version of the Bill. The group argues that the Lokayukta Acts enacted by 18 states have proved to be quite ineffective. 1. The government Bill provides for nothing to recover ill-gotten wealth. A corrupt politician or bureaucrat can come out of jail and enjoy the money. The Jan Lokpal Bill seeks to recover from the accused the loss caused to the government due to corruption. It also increases punishment for the corrupt from a minimum of six months and a maximum of seven years to a minimum of five years and a maximum of life imprisonment. 2. The Jan Lokpal Bill seeks to empower the Lokpal to initiate probe suo motu and directly entertain public complaints. The government Bill requires complaints to be routed through the Speaker and the Rajya Sabha Chairperson. 3. The government Bill makes the Lokpal only an advisory body, vesting powers in the Prime Minister for action on its reports against cabinet ministers and in Parliament for action against the Prime Minister and MPs. The Jan Lokpal Bill gives the Lokpal powers to initiate prosecution after completing investigations. It also gives the Lokpal police powers to register FIRs, proceed with criminal investigations and launch prosecution. 4. It would be impossible for the Prime Minister to act against a cabinet minister on the basis of the Lokpal's report due to the compulsion of coalition politics. It gives the example of former telecom minister A Raja. 5. The Jan Lokpal Bill proposes merger of the Central Vigilance Commission with a part of the Central Bureau of Investigation (CBI) to create a single point of investigation in cases of corruption. The government Bill proposes to take away powers from the CBI to investigate politicians, thereby insulating them from investigations. 6. The government Bill gives power to the Lokpal to send to jail through summary trial anybody filing false and frivolous complaints, but it does not give the Lokpal power to send corrupt politicians to jail. 7. The government Bill proposes that all three Lokpal members should be retired judges, which could make retiring judges vulnerable to government influence just before retirement. 8. The government Bill proposes to have the Vice-President, the Prime Minister, leaders of both houses of Parliament, leaders of the Opposition in both houses, law minister and home minister in the selection panel for the Lokpal member. Barring the first one, the rest are politicians whose offices the Lokpal can investigate for corruption. Also, the committee will have a majority members from the ruling party or coalition. 9. Civil society has suggested that the committee consist of members with judicial background, the Chief Election Commissioner, the Comptroller and Auditor General and international awardees, like Nobel and Magsaysay awardees, of Indian origin. 10. It would become impossible for the Lokpal to investigate a case like the Bofors scam if the government Bill is enacted, as it proposes that the Lokpal will have no powers to probe a case against the Prime Minister, if the case deals with foreign affairs, security and defence. 11. The government Bill prescribes a time limit of six months to a year for the Lokpal to complete the inquiry. There is no time limit suggested for the completion of trial. The Jan Lokpal Bill, however, proposes that the investigations be completed within a year and the trial be over within the next year. 12. The government Bill gives no powers to the Lokpal to provide protection to those exposing political corruption, while the Jan Lokpal Bill empowers the Lokpal to provide protection to whistleblowers.